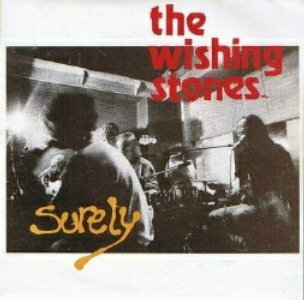 From Dungarvan, Co. Waterford, the Wishing Stones formed in 1986, toured with UB40 (1990) and Robert Palmer (1991) and released one single on the Danceline label, "Surely". They split as a full-time concern in 1993. They played occasional gigs up to 2004. Despite what you might read elsewhere, this is not the same band as the c86 Glasgow band who've appeared on the Sound of Leamington Spa compilations.